It all started in Bolivia. I’d been thinking about a career change and wondered if I could make it as a writer, teaching people about photography. I sat down one morning in my hotel room and wrote my first article. I realized then that I could do it. A couple of years later I read my first photography ebook and I was hooked. Shorter than most print books, ebooks are a fantastic way to learn about photography. You may have guessed it – that first ebook was written by David duChemin, and inspired me to write one myself. I approached David to ask if he would be interested in publishing it. The answer was yes. Sadly those early titles are no longer available at Craft & Vision (although they will be available here early next year), and their success of those early ebooks inspired me to write more. Eventually I created The Creative Photographer as a place to share my articles and publish my own photography ebooks. It’s been a wild journey, but one where I’ve been learning just as much as I have been teaching. There’s nothing quite like the excitement of acquiring a new technique or a new skill, and being inspired by the beautiful work of other photographers. 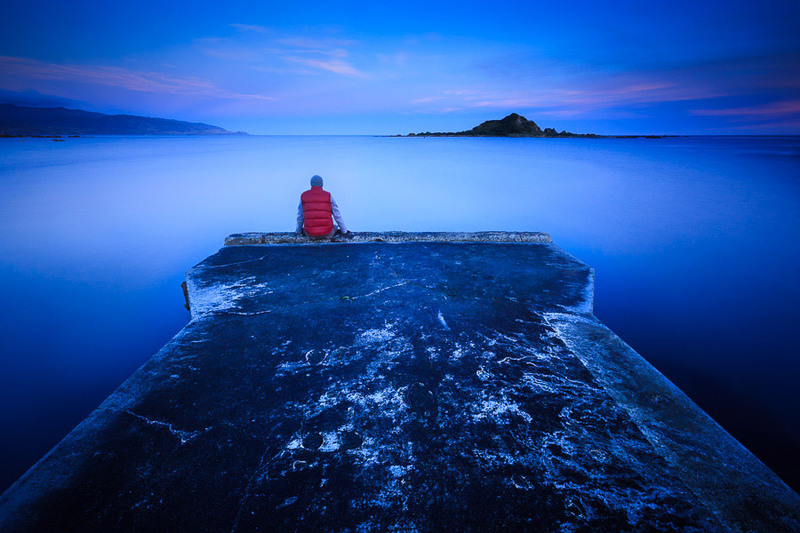 The photo above shows me enjoying the winter sunset in Island Bay, New Zealand, my home for several years.